I always like to have a handy standby collection of legumes in my cupboards. It means that I can put some of them together, together with some stock, and make a filling and nutritious soup. 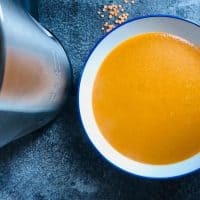 As we get further into the damper and colder months I find myself craving thicker and more comforting soups. 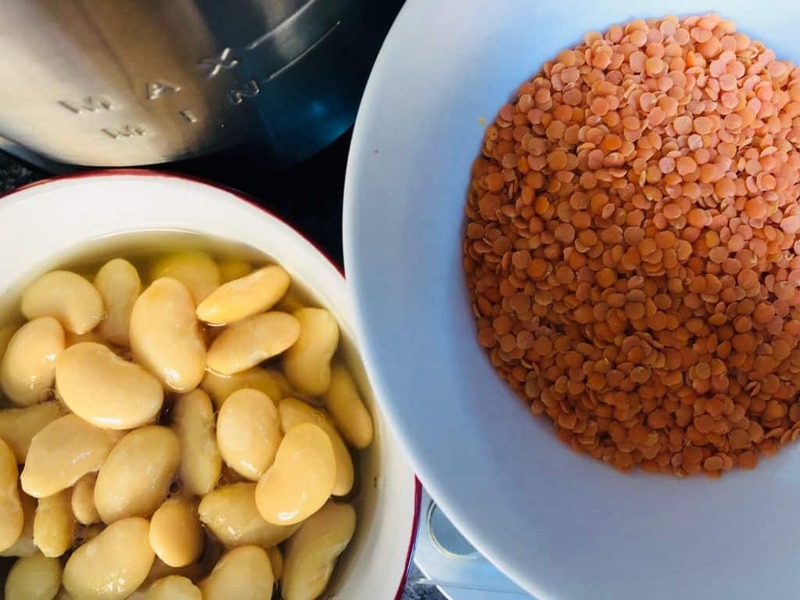 Butter beans and lentils, especially when blended, definitely tick those boxes. I started this soup off in my usual way of sautéing the onions and garlic in a little oil. As I have mentioned before this step is optional and if you don’t have a sauté function on your soup maker it isn’t a deal breaker if you skip the sauté stage. 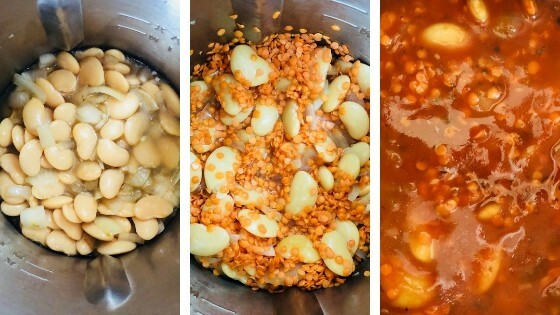 Although sautéing the aromatics release more flavour, you can still achieve a gloriously tasty soup without this step. 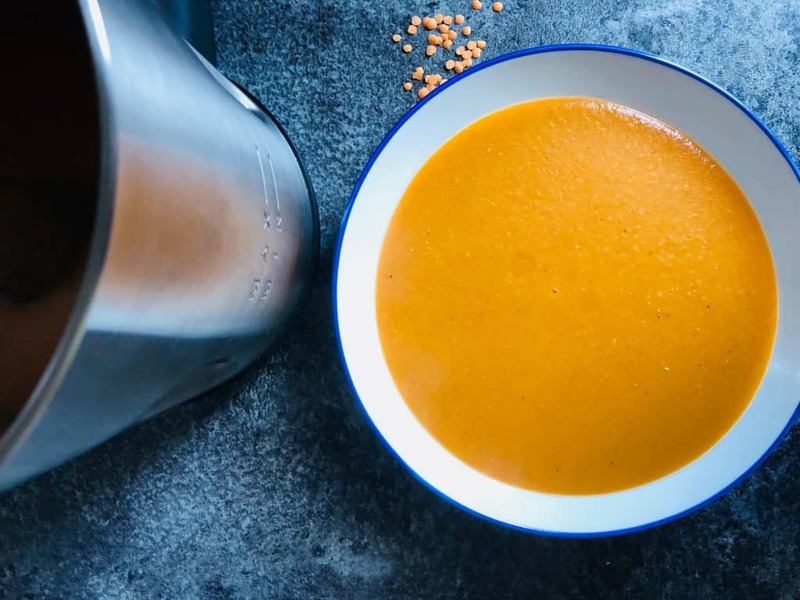 Making the rest of the soup is as simple as throwing the rest of the ingredients in (apart from the crushed chillies), and setting the soup maker off on smooth. Adding the crushed chillies is completely optional, if you don’t have any and you still want to add a little kick to the soup you can add a fresh red chilli, chopped. Whether or not you include or remove the seeds is dependent on how spicy hot you like it! Optional: Sauté onion & garlic in soup maker in some oil or butter. Optional: sprinkle crushed chillies on top. 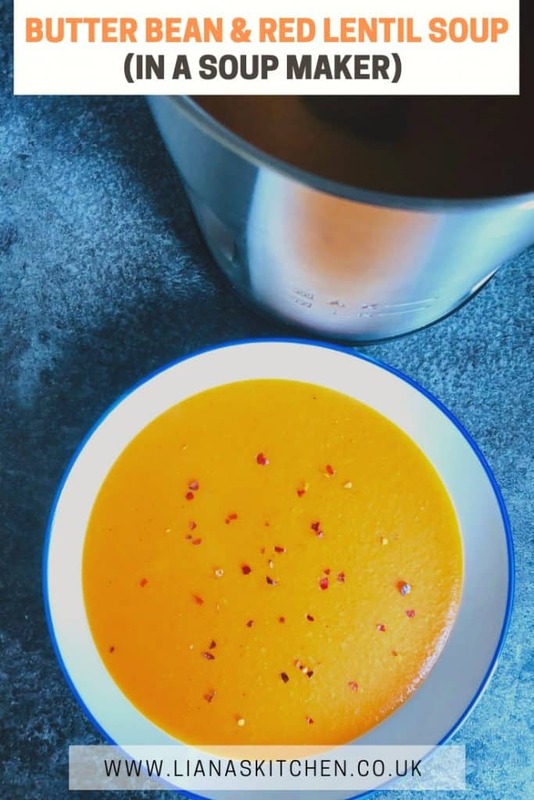 Adding the crushed chillies is completely optional, if you don't have any and you still want to add a little kick to the soup you can add a fresh red chilli, chopped (deseed if you prefer a milder taste).